Designed for Assisted Living and/or Skilled Nursing settings. 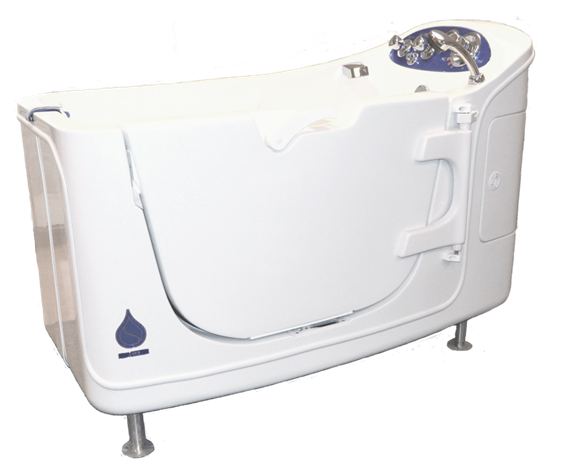 Designed for care facilities looking for a more time efficient and labor-saving bathing solution. Unique tilting function, which allows residents with challenging conditions to recline in a contoured seat and become immersed in warm water. 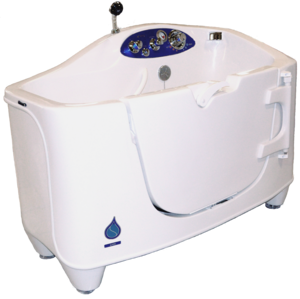 At only 24 gallons to pre-fill the foot well, water usage and the associated costs are greatly reduced. Optional Auto-Fill eliminates waiting and/or observation time when pre-filling the bathtub to a preset level. Three plumbing options to choose from; Front, Side, or Island configuration. Designed to bathe highly dependent residents safely and comfortably. Compatible with a wide range of transport and lifting devices. Key-hole shape enhances patient comfort with extra room for the shoulders and arms, plus allows the caregiver closer and greater access to bathe the resident. 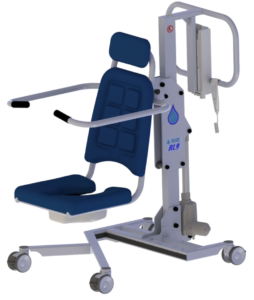 Height adjustable model is raised or lowered at the touch of a button and allows the caregiver to work at the proper height. The RL8 provides a dignified solution for residents requiring assistance getting in and out of recumbent bathtubs. 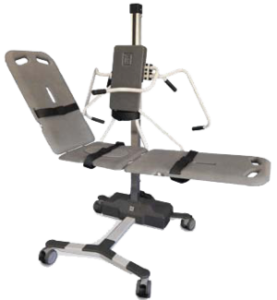 The RL8 Combi-Lift is for residents that desire or need to be in a seated position, however, by attaching the stretcher components it can be converted to a stretcher lift for those requiring to be in a supine position. The conversion from a bath chair to a stretcher lift is simple and requires no tools. This unique feature allows the versatility needed to accommodate a broader resident population. 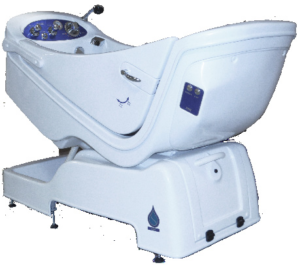 The RL8 Chair Lift is a bath chair only for residents to be in a seated position. 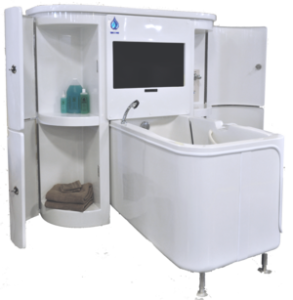 The wide and padded seat and stretcher surface, ergonomically designed safety arm supports, and safety belts ensures a comfortable and secure bathing experience for the resident. The seat and stretcher sur¬faces are made of a soft and durable material that is non-water absorbent, making it easy to clean and maintain. • Designed for Assisted Living and/or Skilled Nursing settings. 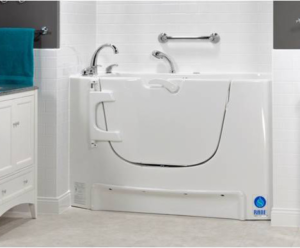 • Freestanding tub that allows the caregiver 360º unobstructed access to the resident. • Low threshold and wide side-entry door allows easy access for residents with various degrees of mobility. • Built-in 26” wide contoured seat allows the resident to sit comfortably and safely in a slightly reclined position. • For your dependent residents, the RG9 Victoria is specifically designed for use with the RL9 Bath Lift, which provides seamless transfers from bed-to-bath in a safe seated position. • 600 lb Weight Capacity. • Freestanding tub with a reservoir feature which allows the tub to be filled quickly with simple one-touch operations. 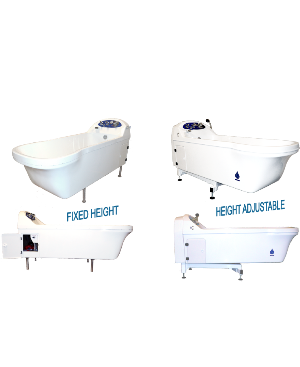 The RL9 Bath lift is specifically designed for use with the RG9 Victoria side-entry bathing system and the RJ15 Caribbean reservoir side-entry bathing system. 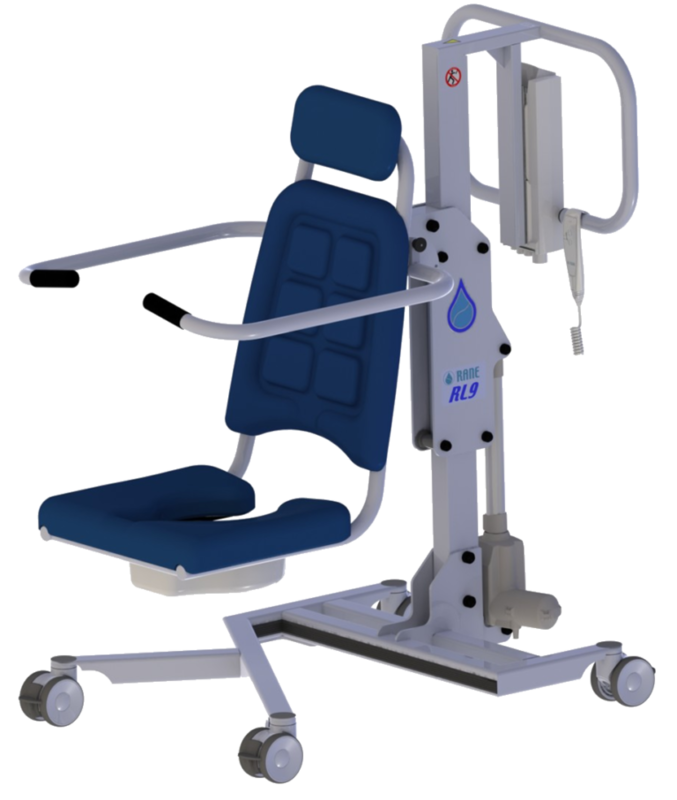 Dependent to semi-dependant residents will experience seamless transfers from bed to bath in a comfortable and safe seated position. 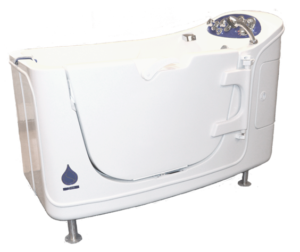 Caregivers will enjoy the RL9 Bath Lift for its ease of use and the improved quality of care they can provide the resident. The heavy-duty steel powder coated frame provides both strength and durability, yet it is easy to maneuver due to the four high-quality twin castors. The armrests are designed for resident safety and are easily moved upward for transfers or access during bathing. • Designed for Assisted Living. • Built-in contoured seat allows the resident to sit comfortably and safely in a slightly reclined position. • Designed to create the atmosphere of a luxury spa, the sleek exterior design of the RK12 Winnipeg will give your bathing area an upscale look. • Can be installed in an alcove for a more residential or luxury spa appearance. • Low threshold and wide side-entry door allows easy access for both ambulatory residents or those who need assistance. • Easy-to-use wall-mounted modular control panel can be positioned for convenient operation by either the resident or caregiver.